Get set for the 6th Annual Gooderson Drakensberg Gardens Golf & Spa Resort MTB and Trail Running Challenge. 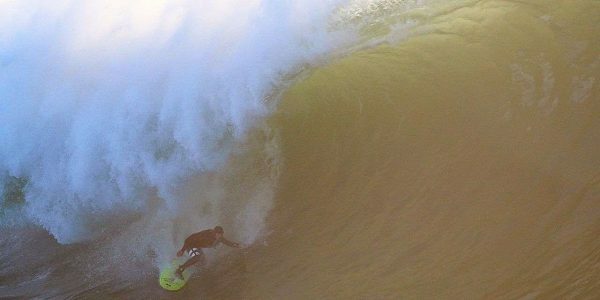 The event which continues to grow in popularity is a weekend filled with healthy fun for the whole family and will be sure to get your blood pumping. The first challenge on Saturday, June 29th will be the 7.5km, 15km and 20km trail runs followed by the 20km & 40km MTB events on Sunday, June 30th. 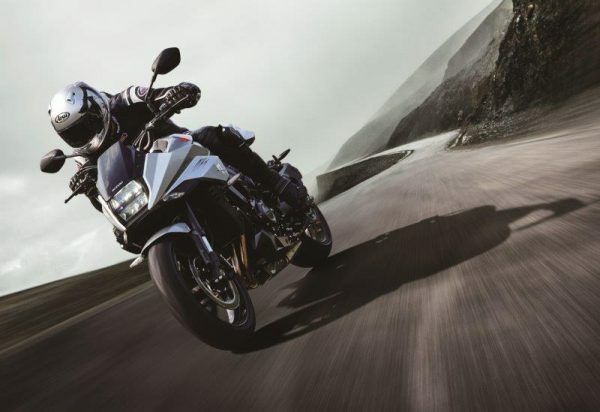 To stand in line winning cash prizes and fabulous lucky draw prizes, best you check your mountain bikes tyre pressure, dust off your running shoes and head on up to enjoy the crisp mount air and the spectacular scenery of the magnificent Southern Drakensberg. Just a reminder that this event also forms part of the prestigious Quattro ROAG Series, which offers both MTB and Trail Running Events!!! The event is also privileged to be able to access the adjacent Maloti-Drakensberg Park World Heritage Site. Gooderson Drakensberg Gardens Golf & Spa resort is the perfect venue for “Good Value & Good Fun” for events of this type and is sure to fulfill your every expectation! Remember, 10% discount on all-pre-race entries for families of 4 and more. SATURDAY, JUNE 29TH: *20km trail run – Entry Fee: R160 per competitor •15km Trail Run - Entry Fee: R140 per competitor •7.5km Trail Run - Entry Fee: R100 per competitor SUNDAY, JUNE 30TH: •40km MTB Race - Entry Fee: R180 per competitor •20km MTB Race - Entry Fee: R140 per competitor The first 200 participants that enter any of the events over the weekend will each receive a goodie bag and a race t-shirt, so get those entries in fast as there are limited places to participate. There are cash prizes for overall male and female winners and age category prizes (1st 2nd and 3rd) in the MTB event. There are also cash prizes for the Top 3 Overall only in all 3 trail run events (Men and Women). No age category prizes in the Trail Run. To enter online go to www.roag.co.za or . 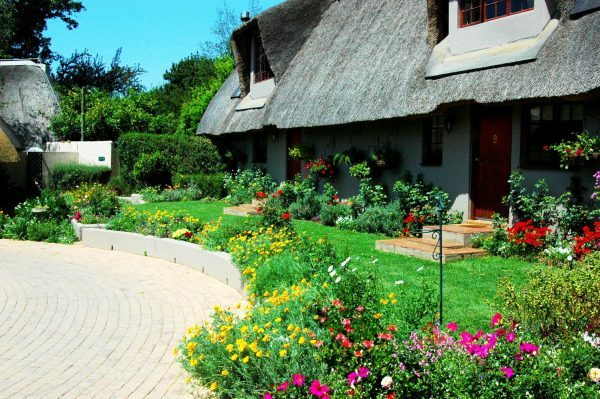 . .
Like many of the avid gardeners that visit Granny Mouse, General Manager, Sean Granger, often struggles with some unwanted guests that make themselves comfortable in our beds and settle down to sumptuous meals made up of the beautiful flowers and foliage in our garden. We’re very aware that chemical pesticides have a negative effect on the environment – not to mention the fact that they’re pretty harmful to humans too. So, rather than put a toxic mint leaf into your cocktail or use a noxious sprig of rosemary with your roast, we have learnt to borrow some of the ingredients from our own larders to concoct organic ways of dealing with unwanted pests. 1. Salt Spray: We use this for treating plants infested with spider mites by mixing two tablespoons of salt into 3.5 litres of warm water. We then pour this into a spray bottle and apply directly on to infected areas. 2. Mineral Oil: We’ve found that mixing a high grade mineral oil (between 10 and 30ml) with a litre of water dehydrates insects and their eggs. 3. Oranges: Citrus is great for eliminating soft-bodied bugs such as slugs, aphids, gnats and mealy bugs. Add the rind of a fresh orange or 1 ½ teaspoons of dried citrus peel to two cups of boiling water. Let this solution rest in a warm spot for 24 hours. Strain and then spray entire plants. 4. Citrus Oil: Ants can be a huge pest in our garden and to stop them in their tracks, we use a combination of 10 drops of citrus essential oil and a teaspoon of cayenne pepper. We mix this with a cup of warm water, add it to our spray bottle and nuke the pesky little critters. To tackle slugs, we also use citrus oil, this time adding 30ml to three tablespoons of liquid organic washing soap to a few litres of water. 5. Eucalyptus Oil: When it comes to flies, bees, and wasps, we simply sprinkle a few drops of eucalyptus oil around and they head off in another direction! 6. Onion and Garlic Spray; One minced clove of garlic and a medium-sized organic onion added to a . . .
As we all know so well, we spend every day running from A to B in a highly stressed environment and time flies by. Often, we do not even have enough time to spend time with our important others and your interaction with your mom is probably a quick WhatsApp or call between meetings and errands. This May, make the time to spend some quality moments with her. The gift of a night stay at Granny Mouse with a spa treatment is not only the best way to spoil her but an opportunity to go along for the pampering and share the experience. We chatted to a few mom and daughter combo’s and have decided to pass on their thoughts on the whole experience: 1. Make a few nights of it Don’t keep to the same frenetic schedule and rush through a morning of spa treatments, only to head back to the craziness of the city. Instead, head to the country for a chance to relax and reconnect. The real bonus is away from those distractions- leave someone else to pick up the slack, sort out the crises and, instead, enjoy a full day of relaxation and spa treatments. 2. On arrival Order a plate of snacks before your treatment and, together, go over the spa menu and enjoying creating a personal, customized experience just for the two of you. That won’t just give you some extra bonding time but allow you to build up some pre-granny mouse spa excitement. The Granny Mouse Spa has a pick ‘n mix menu where you can select 3 or 4 treatments that suit your particular needs – alternatively, if you can’t make up your mind, you can opt for the Granny Mouse signature package or any other combinations that will make for a perfect day of pampering. 3. Make this a together experience Even though the Spa menu comes with a list of individual treatments and endless options, explore the things that you can do together. How about a mom and daughter massage and a mani-pedi or time out in the CSpa Shimmer Milk Hydro bath where you can catch up over a bottle of bollie? That way you can compare notes . . . 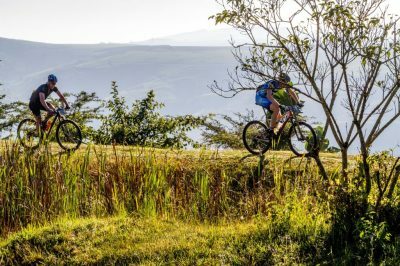 The ever-popular Husqvarna Classic Mid-Illovo MTB Challenge & Trail Run in KwaZulu-Natal will have a new look in 2019, including a new race venue and some revamped routes. This year’s event on April 28 will be based at the Gwahumbe Game Lodge and Spa which will provide an idyllic and spectator-friendly venue for supporters, while also ensuring a more relaxed setting for riders and runners after they have completed their events. The route for the 60km Husqvarna Classic MTB X-treme event, which targets the province’s elite and experienced mountain bikers, will be similar to the 2018 event, although there are a few tweaks to update and improve the course with some extra single track. The popular 40km Safire MTB Classic will have the most changes of all the mountain bike rides with the course shortened back to 40km while extra single track has been added. The highest climb - at just under 1000m - is early on in the race at 13.5km. The return loop has a gentler gradient. The trail runners will have the biggest changes with new routes starting at the Gwahumbe Game Lodge on top of the plateau before finishing at a beautiful waterfall setting in the valley, where shuttles will transport runners back to the start/finish area and prizegiving. “The event has now outgrown the Mid Illovo Club, which hosted the Husqvarna Classic for 10 years,” said race organiser Shanon MacKenzie this week. 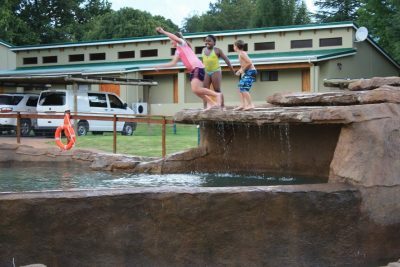 “We made the decision to move the start and finish venue to Gwahumbe Game Lodge that lends itself to an ideal area for relaxation and chilling after the competitors have completed their runs and rides. “More people will be able to enjoy the vibe and atmosphere that will make for a wonderful family atmosphere. “We have also changed the routes a little. With changes over the years the 40km had become 46km and some of the return climbs were tough for the riders we were attracting, so we got rid of some of the smaller ascents on the return route and reduced the distance. . . .
Modern retirees are looking for the freedom to truly enjoy their retirement years, unencumbered by the shackles of day-to-day living. They are seeking a ‘lock-up-and-go’ lifestyle that means living in a beautiful home without the hassles of maintenance, chores and security concerns. 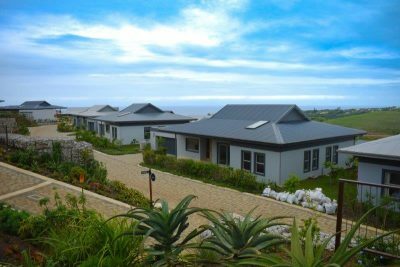 Renishaw Hills – the mature lifestyle village on the KwaZulu-Natal South Coast – has developed the perfect lock-up-and-go solution for retirees. “The apartments at Renishaw Hills were developed so that those seeking a more liberated lifestyle would be well catered for,” explained Phil Barker, managing director of Renishaw Property Developments. “Located within this coastal paradise, the modern-design apartments provide residents with a holiday-style experience without the hassle of residential upkeep. It’s a complete win-win.” Benefits of the lock-up-and-go lifestyle: - Affordable living Starting at a price of R1.156m, the Renishaw Hills apartments are some of the most affordable, high-quality retirement investments available. By selling a larger home and investing in Renishaw Hills, retirees are able to release equity for more disposable cash. - Hassle-free living The affordability extends into the hassle-free benefits of the Renishaw Hills apartments. The monthly levy amount covers 24-hour security, use of communal sports and recreation facilities, fibre optic Wi-Fi connectivity, house maintenance and insurance, garden services and shuttle services. Everything is taken care of by Renishaw Hills so residents are free to spend their time as they wish. - Freedom At Renishaw Hills, residents don’t need to plan vacations or family visits months in advance because they have the freedom to come and go as they please. Last-minute excursions and spur-of-the-moment events make life worth living, which is why Renishaw Hills’ apartments are such a great choice for those seeking some adventure in life! - Safety A home-owners biggest concern is generally the security of . . .
There’s nothing quite as stressful as living in the city – think never ending queues of traffic, sky scrapers and flashing neon signs, malls and cell phone masts and the cacophony of hooting taxi’s, chattering inhabitants and blaring music. Alternatively, there’s nothing quite as soothing as a break in the mountains – and at Gooderson Monks Cowl to be more specific. Think sweeping grasslands, magnificent towering cliffs and peaks topped by starlit skies at night, beautiful trees, the haunting calls of birds of prey on the wing or the soothing sounds of waterfalls. Monks Cowl, which takes its name from the distinctive mountain between Champagne Castle and Cathedral Peak which resembles a cleric’s attire, is the gateway to some of the most magnificent and unspoilt mountain wilderness areas in South Africa and part of the 260 000 hectare Maloti-Drakensberg Park World Heritage Site. Although that should be reason enough to trade the city for the countryside, we’ve got five good reasons why some time out at Gooderson Monks Cowl is the perfect antidote to our urban existence. 1. Nature helps us cope with stress Oodles of research that suggests that we’re compromising our mental health by not taking time out in the peaceful company of nature. This is particularly true for children who are constantly bombarded by television, movies, computer games and mobile phones. In a beautiful mountainous environment, what you see is what you get – perfect peace. Green spaces not only soothe the soul but also allow us to breathe in that revitalizing crisp mountain air. In the countryside, you don’t need an excuse for simply laying back and doing nothing – and, when you return to your day to day routine, we can guarantee that you’ll feel rested and restored. 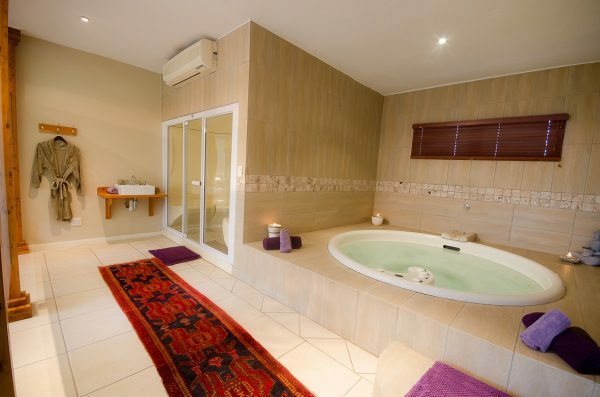 Accommodation options are varied and exceptionally comfortable, from our 35 superior hotel rooms, either mountain or dam facing with 2 double beds, 1 executive suite with a king size bed with double shower, and 8 . . .